We all want higher living standards, cleaner cities, and aesthetic surroundings. However, the ever-increasing population around the world is producing ever more waste. 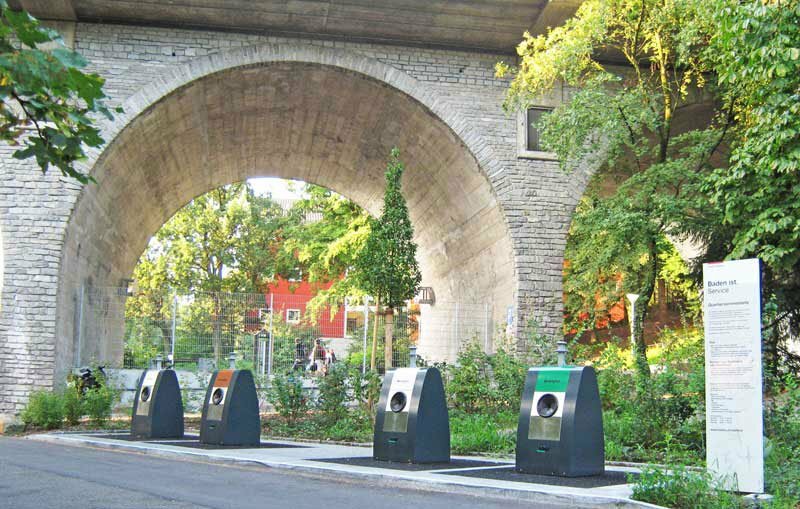 Usually most of the waste accumulates in the center of a community, often even in the midst of historical buildings or modern housing schemes. Municipal authorities sure have their work cut out. A Swiss company, Villiger, has a solution. 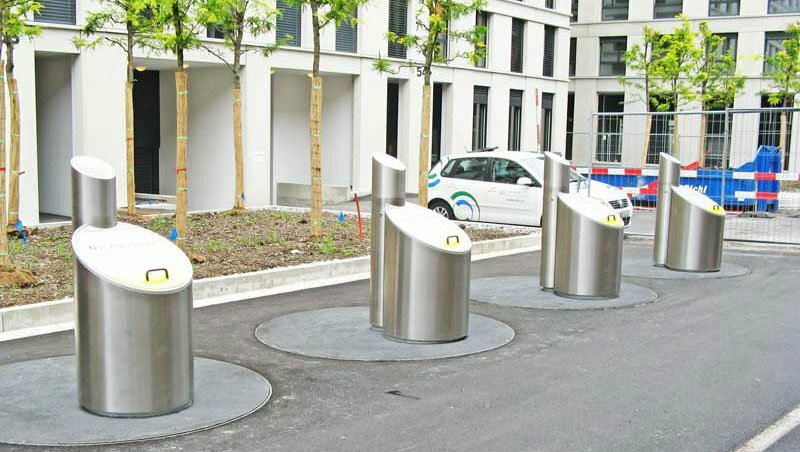 Villiger is changing the way cities deal with trash by using a system of underground waste disposal. They use high-tech underground garbage containers to save space and keep streets clean. Trash containers are stored below ground level. The idea is to not only increase capacity, but also get rid of the smell and keep the trash out of sight. 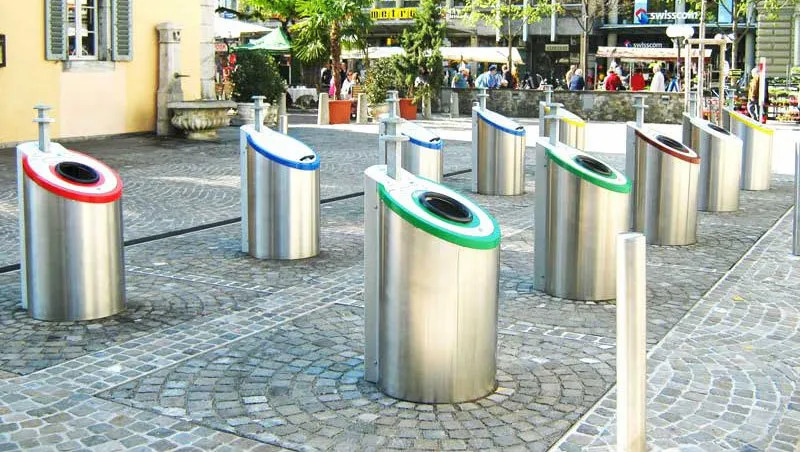 A clean city is easier to present to tourists as well. The company says that the product group Sub-Vil is the most versatile Villiger solution and can be used in almost every environmental situation. It has proven itself a thousand times. The possibility of smoothly integrating the waste concept into the environment makes this system very attractive. Furthermore, users can dispose their waste all around the clock. Costs for the emptying trips can be reduced considerably thanks to the centralization of the collection sites. Villiger built this with the idea of making the emptying operation as easy as possible. The platform can tilt by 90° to the side using hydraulics, which makes the emptying process rather quick and easy. In addition, there are more functions and features for an easier handling. 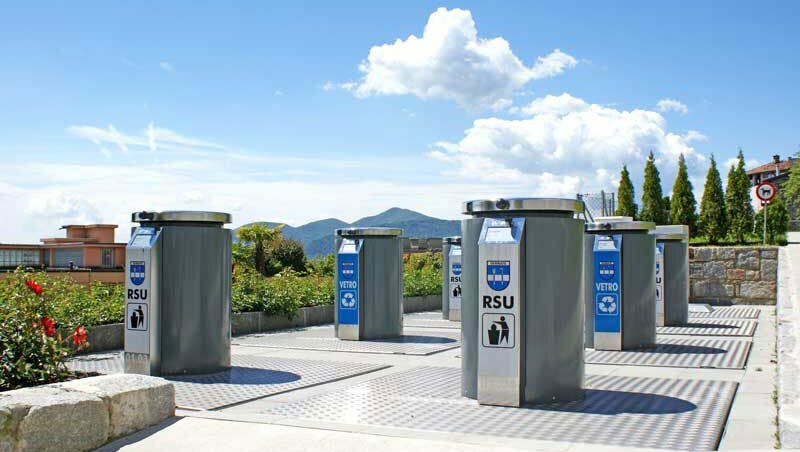 In the city of Zurich, underfloor containers (called UFCs) are increasingly being installed in more locations. This offers substantial advantages over the roll container – the volume of a single UFC is equivalent to that of six trolleys.